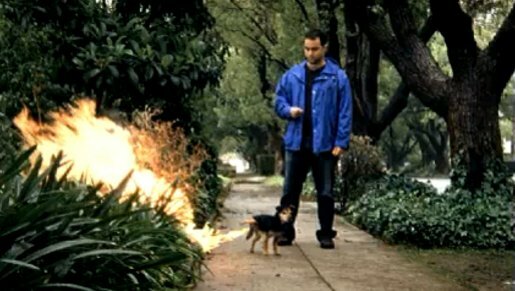 WebVet, the American online veterinary advice site, launched an online video campaign in July 2009 featuring a little dog with a massive flame throwing capacity, and a black cat with a worrying hairball problem. The Pet Questions campaign was developed at McCann Erickson New York by chief creative officer Joyce King-Thomas, executive creative director Steve Ohler, group creative directors Tom Murphy and Sean Bryan, associate creative director/copywriter Jason Schmall, associate creative director/art director Mat Bisher, and agency producer Eric Tao. Filming was shot by director/VFX producer Mark Russell via Motiv Films, Los Angeles. Editing was done by Josh Berger at Cosmo Street, New York. Audio post production was done at Sonic Union, New York, designed and mixed by Steve Rosen. Colorist was Tom Poole at Company 3.